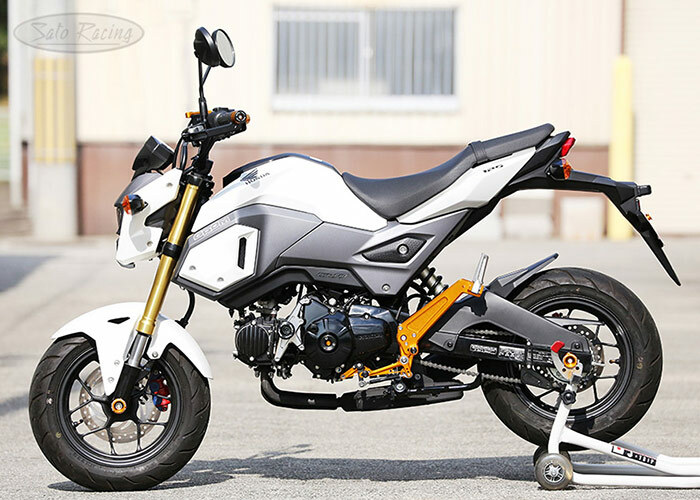 SATO RACING Rear Sets + Tandem Brackets for 2016 and up Honda GROM are precision CNC-machined from high strength billet aluminum and anodized in your choice of Black or vivid Gold finish. 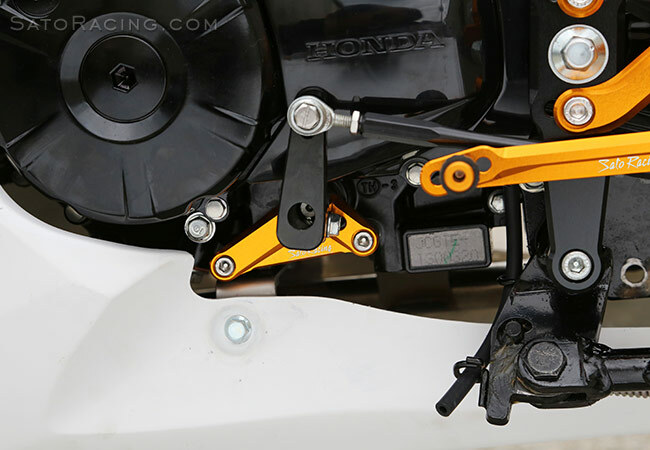 Select from 2 positions that place your feet higher up and significantly further back compared to the stock foot pegs, for a more aggressive position well-suited for spirited riding. 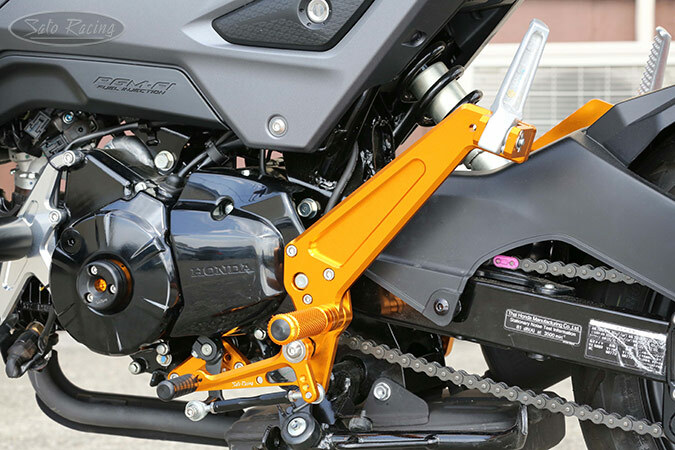 These Rear Sets are compatible with the stock rear brake light switch and stock exhaust canister, and also include integrated Tandem Brackets to attach the stock passenger pegs. Provides a stock shifting pattern. 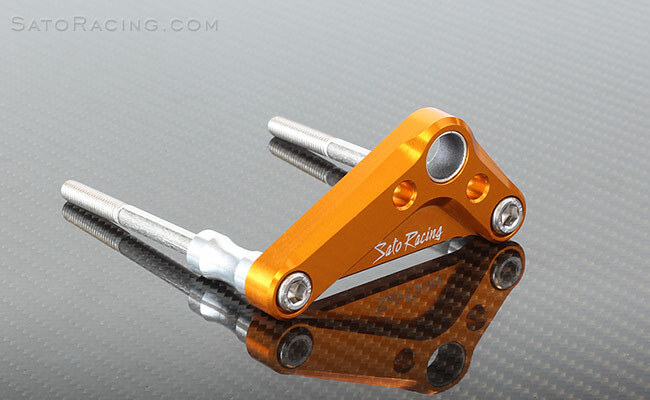 aluminum Pedal Tips with rubber sleeves, are an available option: More Details. 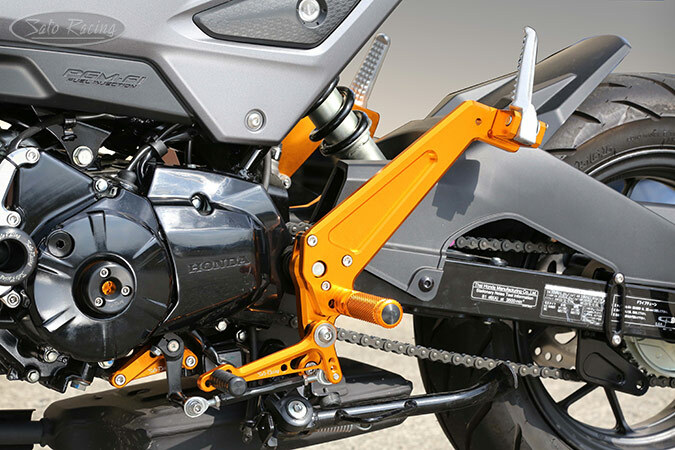 The Foot Pegs have a finely knurled pattern for excellent grip, along with a comfortable, intuitive feel. 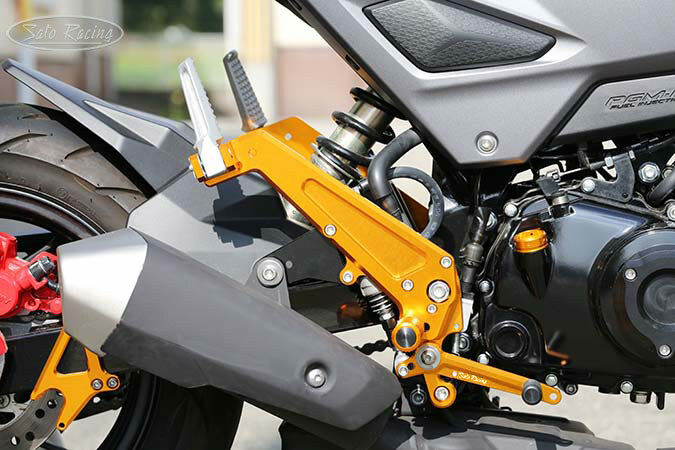 The Tandem brackets are designed for use with the stock Grom passenger pegs hardware. 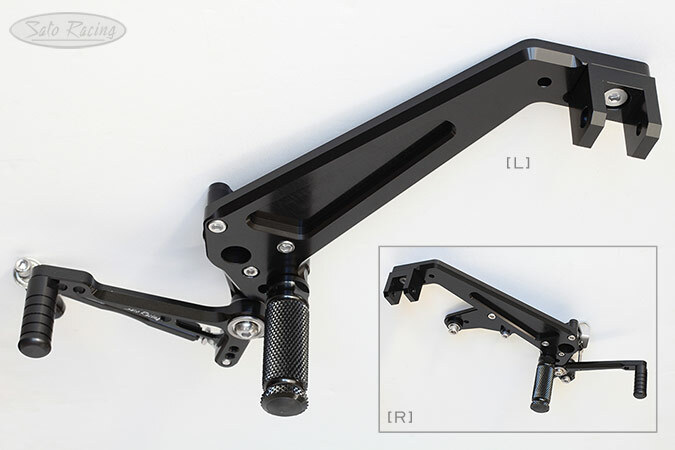 These Rear Sets are compatible with the stock brake light pull switch. 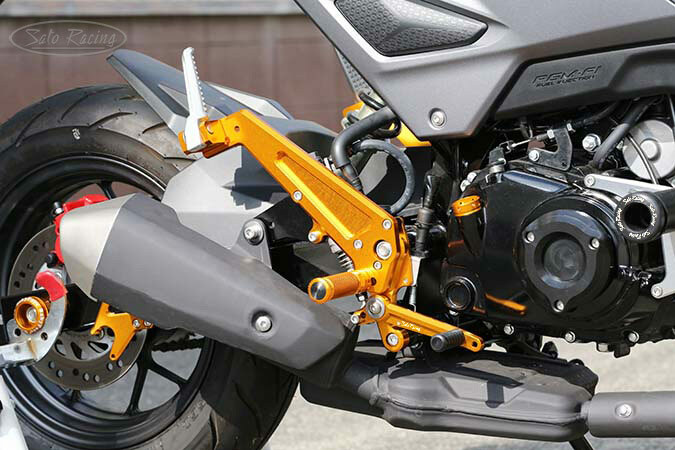 Rear Sets kit also includes a hanger for the stock exhaust canister. (Exhaust hanger might need additional hardware to be compatible with some aftermarket exhausts). 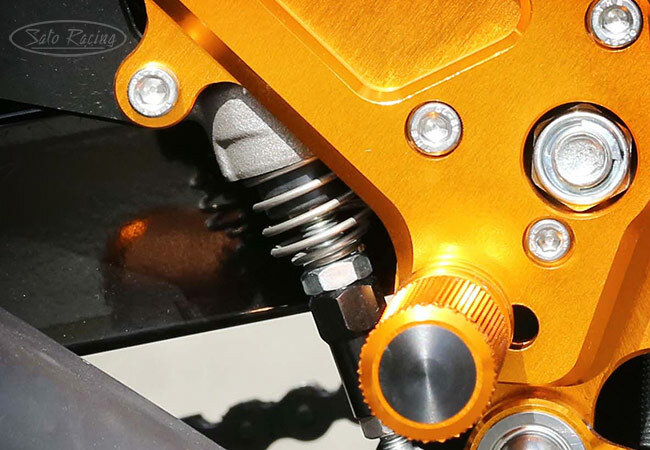 ( Rear Sets shown installed with optional Brake Return Spring ). Provides a dedicated stock shifting pattern. GP/ reverse pattern is not an option for this model. Shown installed with the optional Shift Spindle Holder.